Marianne, her daughter Treesa and ACTS realtor Mary Leach-Sumlin. 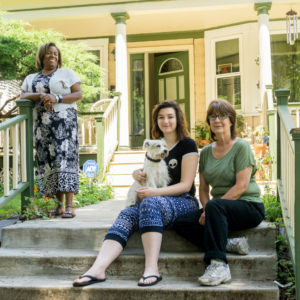 Marianne’s home, on Milwaukee’s West Side, feels like anything but a previous foreclosure. One could easily enjoy the four seasons there. The living room is perfect for escaping with hot chocolate on cold, wintry nights. The porch, against the bright yellow siding of the house, feels Southern and genteel amid the crooked Milwaukee sidewalks, and would be perfect for sweet teas and colas during the dog days of summer. The kitchen is small and cozy beckoning guests to get close during a Thanksgiving meal. Bright red peonies, planted by a previous owner, would charm anyone on a sunny, spring day. Marianne worked with ACTS realtor Mary Leach-Sumlin and closed on the home in February. She paid $32,000 for the home and spent $25,000 in home rehab. It had fallen into ill repair after being rented by irresponsible tenants. It sat for a while. The neighborhood’s association, Alderman Bob Bauman, and the City of Milwaukee called a meeting with Leach-Sumlin to find out if ACTS could locate a buyer. She found the perfect person in Marianne. Marianne, who works in hospital food service, was tired of renting. Marianne wanted the freedom an owner has—free reign over her space. Marianne wanted to plant, wanted more space, and wanted to provide stability and security for her children. Marianne’s first priority is and always will be her children. 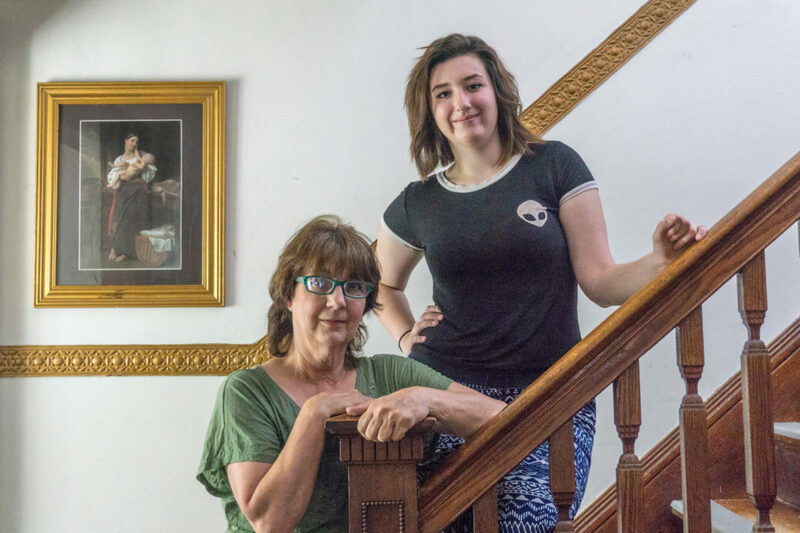 They were the reason she purchased her home.She is particularly concerned about how the relatively unstable job and housing markets will impact them. “If she [daughter Treesa] leaves home, she could come back in three months saying her roommates didn’t pay their half of the rent. Can I have my room back?,” she said.